Michigan Office Movers offers secure pallet storage to meet the logistical, distribution and fulfillment needs of our clients. Whether you require temporary or long term storage for your bulk, palletized items, we provide safe and secure receiving, handling, storage and inventory of your business assets. Screened personnel, state of the art warehouse facilities and computerized tracking systems combine to provide you with a thorough, trusted storage solution. 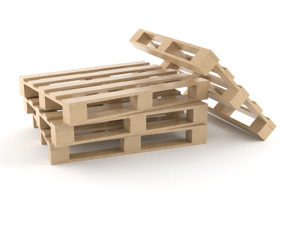 We consult with you to assess your operational needs and implement a custom pallet storage solution. Once we understand your specific goals and outline a plan, we move forward with transferring your pallet inventory. Our transportation and receiving services are driven by a precise process to ensure the protection and accountability for your business assets. As your strategic business partner we take our responsibility in providing an efficient logistical process for your organization seriously. Our warehousing professionals are expertly trained to assure quality control and accuracy during the transfer and receiving process. Since our clients come from a wide spectrum of industries throughout Southern Michigan which utilize specialized materials and products, our staff is trained on various types of handling equipment for operating and safety proficiency. An easy and efficient retrieval process enables you to accurately get the items you request in the least amount of time with optional expedited, rush delivery. Michigan Office Movers allows our clients to reduce their operational costs associated with in house bulk storage of pallets. Our professional pallet storage service allows you to reduce overhead labor costs, minimize equipment investments, and improve the overall efficiency of your organization. To find out more, please contact us by phone or fill in the form on the page.